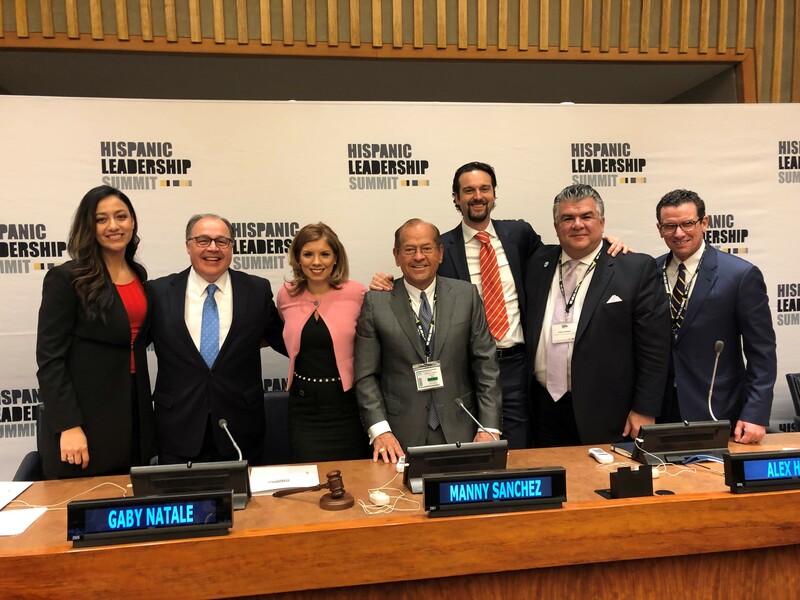 Monday, December 10, 2018 was a historic day at the United Nations, as Manny Sanchez joined an esteemed panel of Latino Leaders at the United Nations inaugural Hispanic Leadership Summit to advocate for empowerment through the registration and unification of all Hispanics eligible to vote. The extraordinary gathering of leaders from business, media, politics and advocacy came about after a yearlong effort by the We Are All Human Foundation, headed by Claudia Romo Edelman. Invited to serve as special rapporteur on the topic of political representation and engagement, Manny talked about mobilizing Latinos to register, vote and get engaged in the electoral process. This is particularly important given the fact that every year 1 million Latinos become eligible to vote.